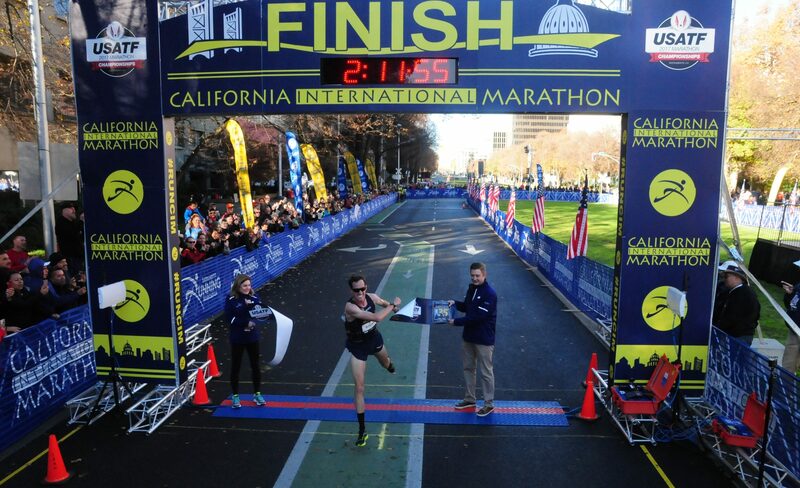 We caught up with Tim Ritchie fresh off his impressive victory at the U.S. Marathon Championships in Sacramento. While pursuing his athletic goals Tim is coaching athletes on VDOT O2 through the fast growing McKirdy Trained private coaching group. We were excited to learn more about his perspective on life as a pro athlete, his coaching philosophy and why he is having so much progress lately. VDOT O2: When did you realize you wanted to dedicate your life to running? Tim: I don’t want to dedicate my life to running!! I want to dedicate my life to my wife, my family and my friends! Running is something I do, something I love and something I am very lucky to be able to participate in at the level on which I do. 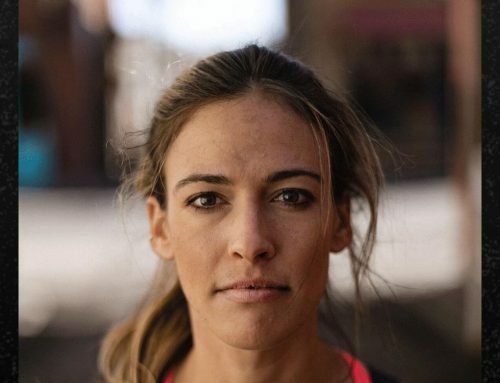 Running is high on my list of priorities: I train hard, I coach with passion and I am grateful to be involved in the sport, but I try to keep the perspective that running is a gift, one I am very grateful for and one that stands beside other great things in my life. VDOT O2: What are your biggest challenges training as a pro athlete? Tim: This is a tricky question. I’ve trained as a HS athlete, college athlete and a post-collegiate club athlete all before going pro. Those situations had many more challenges than the professional lifestyle. I’ve trained with and been inspired by many who work as hard as I do and are as committed as I am without the added benefit of the support from sponsors. So, in fairness I cannot really say there are many big challenges to training as a pro, but rather there are many big opportunities. I am just hoping my past challenges of balancing work/life/running, staying healthy and seeking improvement will allow me to take full advantage of this chance I have now to put my training and running at the forefront. VDOT O2: What do you consider the few key difference makers in your recent progress as an athlete? Tim: My recent progress as an athlete is built on a long foundation of patience, hard work and a great group of supporters, coaches and teammates. However, recently I have made a few changes that have helped to bring this success to life. One and a half years ago I made a tough decision to leave my coaching job at Boston College, my alma mater, and move to New Haven, CT to be closer to my now wife, Kirstin, a Yale graduate student. That move was coupled with a decision to pour a bit more of myself into my athletic pursuits temporarily at the expense of my collegiate coaching career. Saucony also renewed their support of my running in 2017 through the creation of the Freedom Track Club and under the guidance of Tim Broe. So, some combination of all those things have really made a difference: primarily marrying Kirstin and having her support, and also leaving behind a full time job to focus on training and working with a new coach and teammates to achieve new goals. For the past year and a half I been able to make decisions based primarily around what will help me become a better athlete. I have incorporated more time for strength training and rest. I have worked to improve my diet and overall lifestyle health. And finally, I have continued to trust in those who believe in me and trust in myself that I have more to give in this sport and it is worth the sweat. 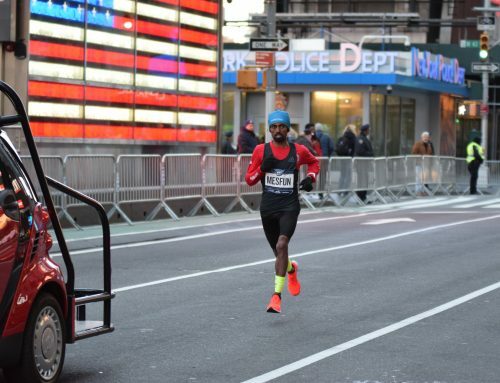 VDOT O2: As far as race execution, what were the difference makers at CIM? 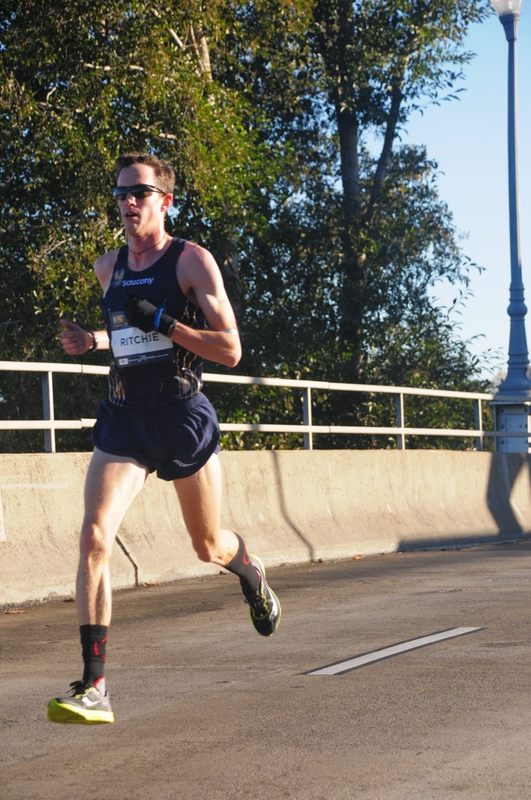 Tim: My preparation for CIM went well but I wanted to mentally approach the race with patience as well as confidence. Some of the key difference makers were: more pre-race calories, more carb intake during the race, a slower first half with a gradual pace change second half, perfect weather, deep competition and the opportunity to be a national champion. VDOT O2: How did you get into coaching and what do you love most about it? Tim: I started coaching in 2010 when my college coach offered me a job as his assistant at Boston College. Coach Kerr thought I had potential to guide and mentor the student athletes at BC and took me under his wing to learn. It was a life changing opportunity, that is for sure. I’ve coached in some capacity at the collegiate level ever since. I began to coach individuals of all abilities after meeting James McKirdy of McKirdy Trained in 2016 and have since expanded the range of athletes I coach across many disciplines and backgrounds. What I love most about coaching is helping athletes towards their ‘Ah-ha!’ moment. It is a very special thing when an athlete improves, runs well, but then thinks, wait.. I can (and want) to do more. Ah-ha! Seeing athletes find their passion for running, wellness and getting the most out of themselves is why I coach. VDOT O2: What is your general coaching philosophy? What do you like most about the VDOT methodology? Tim: My coaching philosophy is that you need to understand and care for the athlete in front of you. 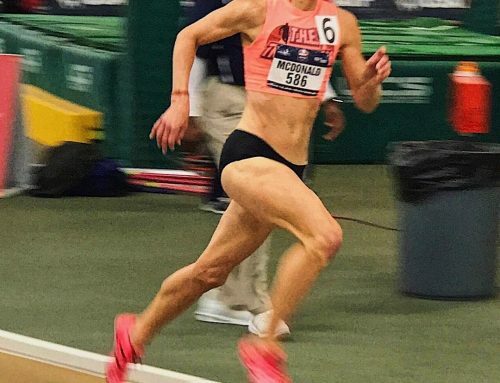 My approach to training and racing is to encourage an athlete to make small improvements over time, develop trust and belief in themselves and to discover that passion for running. 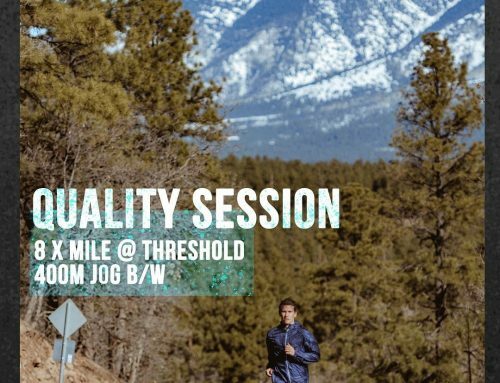 From a technical standpoint I try to keep it simple: a good foundation of steady-effort base mileage, a frequent dose of hills and strides for mechanical improvement, and workouts where the athlete feels in full control of the effort they are giving. As coaches we recognize that if an athlete can stay healthy, train consistently and be patient, they will get faster; that means not sacrificing long term vision for short term risks. 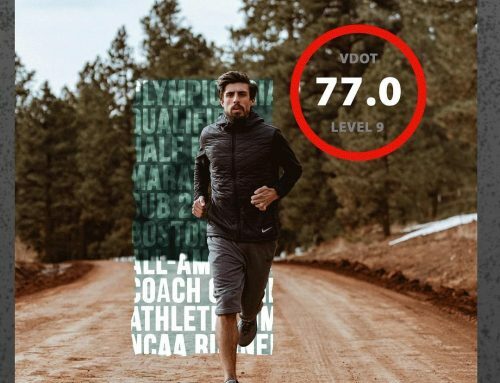 What I appreciate most about the VDOT methodology is that it helps a newer athlete to understand the benefits to be gained by training at a variety of paces and efforts. It is up to the coach to structure those efforts over the season, but now the athlete can better recognize how each run is going to play a role in their development. I’ve found when an athlete is aware of where they are and where they are going they’re more likely to take ownership of their training and get excited about the road ahead.